This radical reduction in cable cross-section leads to high fibre-density cables, significantly increasing duct utilisation. This offers the potential to increase the number of fibres in a duct, lower the number of ducts needed or extend the life of the existing infrastructure, all of which offer significant savings to network owners. – conventional construction enabling mid-span entry. – 12 fibres and 24 fibres per tube available. – high fibre-density enables more fibre per duct. – high strength materials ensure mechanical performance. – easier and quicker to install. – longer lengths on a given drum size can lower installation costs. – cables can be hauled into ducts or installed into sub-ducts using light-weight cable jetting equipment. 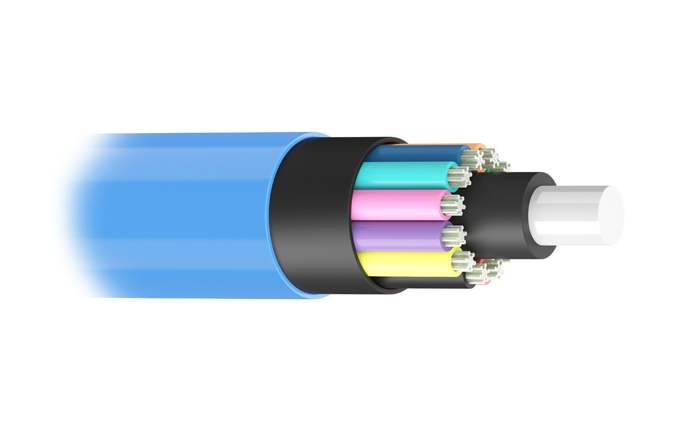 MINISM@RT cables can be blown through mini sub-duct as small as 10 mm in diameter. Blowing the MINISM@RT cable can offer significant cost savings compared with hauling the corresponding SM@RTCORE® cable.